Have a friend or a family member moving in on their first home or apartment? We bet you’d like their move-in day to be a special one. If so, let us help you find decide what gift/s to give them on their first day at their new home. Traditional housewarming gifts are cool and thoughtful for sure. But did you know that gifting tools for new homeowners could also be an amazing idea too? In this article, we listed the top 7 tools you can give a friend or a family member on their move-in day. As one of the most frequently used tools in any household, a new homeowner would surely be delighted to receive a new manual screwdriver set. Perfect for assembling furniture, removing light switch covers, tightening cabinet door knobs, etc. Since there are a variety of screw heads and sizes, buying a package with multiple blade tips and size would be ideal. One of the most used tools in any household is a cordless drill. Used for driving bolts into wall studs to mount a flat-screen TV, tightening hinges, or cutting out holes for door knobs are just some of the tasks a powered drill can help a new homeowner with. Hanging an artwork, mirror or shelves can sometimes be time-consuming especially if you’d want to ensure they’re not positioned at an angle. This is why gifting a new homeowner with a level will surely be appreciated because you’re saving them from this trouble allowing them to spend their precious time to other moving in tasks. Needle-nose pliers can be used to grip nails and wires that bulkier tools or fingernails can’t reach while the tongue-and-groove pliers are perfect tools for fastening and crimping tasks. By gifting a friend of these tools, you’re definitely doing them a favor. Allen Wrench mostly known as a hex key is a small, L-shaped wrench used to drive bolts and screws with hexagonal sockets as well as for basic plumbing repairs like unjamming a garbage disposal. Having this tool handy would be a great relief for any new homeowners especially during emergency repair cases. Staple gun is among those common tools needed for home organization. Can be used for retacking a carpet, securing fabric, or installing insulation sheets. Any fastening job would be so much easier with the help of this tool. As a new homeowner, a friend would be glad to receive this and get more fastening jobs done in no time. Moving in would require a lot of measuring to ensure everything is in order as you’d like them to be. This is why a digital tape measure would be a great gift as it makes recording and converting measurements so much easier and faster. What’s best about a digital measure tape is that some brands have this great feature of storing measurements that would be really useful when you’re unable to take note of the details. Need even more ideas? 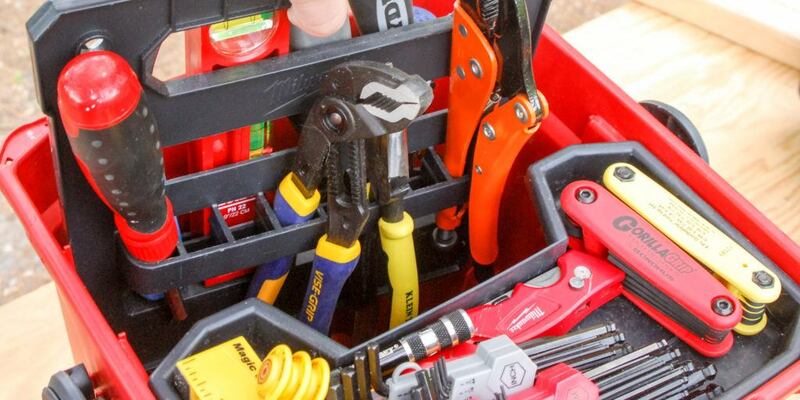 Check out this Home Inspector’s list of the top 10 tools new homeowners need. Moving into a new home is definitely a time of financial stress. It’s helpful to remember that your friend or family member might have a difficult time keeping up with maintenance costs in the first year of home ownership. Giving them the tools they need to DIY some of the more simple home maintenance tasks will go a long way towards helping them keep up with all the responsibility.